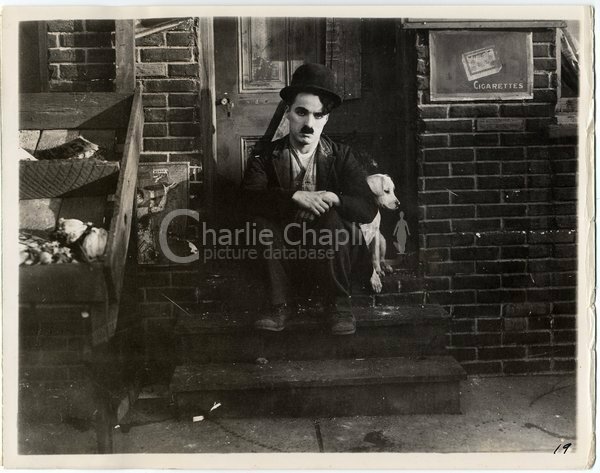 From the moment he entered movies, Charles Chaplin knew that he needed total creative autonomy in order to make the kind of comedy of which he alone was capable. 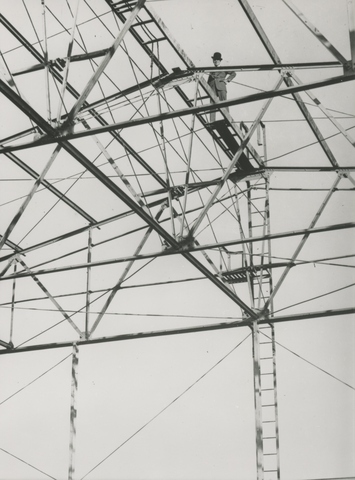 This autonomy he finally achieved in 1918, when he built his own studio. Hollywood was still rural, and the studio rose up among the orange groves in the grounds of an old mansion. Disguised on the outside as an old English village street, the interior of the studio was, for those times, state of the art. 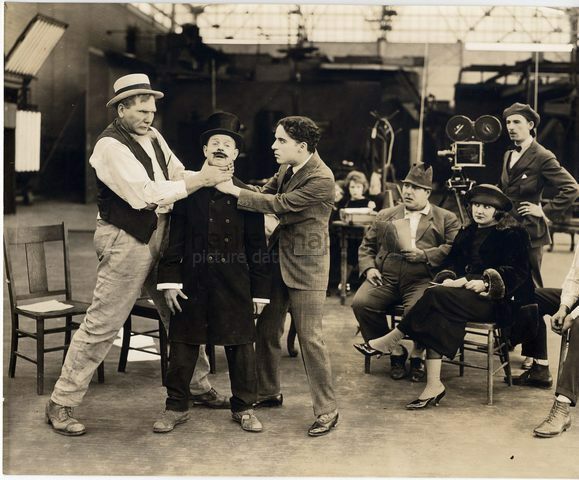 Chaplin celebrated his move with an amusing little documentary film, How to Make Movies, which showed the facilities and personnel of the studio, and his own daily routine. In fact the film was never completed or released; and this precious view of early Hollywood was not seen until 1959 when Chaplin included some shots in his compilation The Chaplin Revue. The films that Chaplin made in his own studio were a marked advance on any comedies previously made in Hollywood. They were generally longer – as much as 45 minutes, whereas few comedies before that time went beyond half an hour - and much more sophisticated in staging and structure. 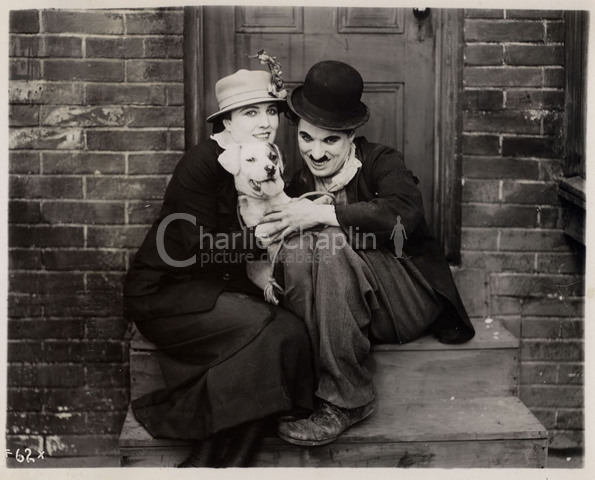 The first was A Dog’s Life, for which Chaplin found an excellent co-star, in the person of a charming mongrel dog, Mutt (called “Scraps” in the film), whose battle for survival with the other dogs of the quarter is satirically compared with Charlie the Tramp’s own struggle for a place in society. Along with his regular leading lady Edna Purviance – playing a much-abused singer and hostess working in the seedy Green Lantern bar – Chaplin is joined for the first time by his brother Sydney, who had shared his early struggles and helped him make his way on the variety theatre circuit. An excellent comedian in his own right, Sydney plays the proprietor of the coffee stall which is victim to the pilfering of Charlie and Scraps. An odd feature of A Dog’s Life is that Chaplin has abandoned his usual cane – presumably because he needed his hand free to hold the dog’s leash. The First World War was already raging when Chaplin opened his studio; and A Dog’s Life was finished in a hurry so that Chaplin could do his war effort by embarking on a tour to sell Liberty Bonds, persuading the public to buy investments that supported the war effort.